Stitchy Stitcherson: Christmas in July Stitchalong! Hello, friends! Happy July! 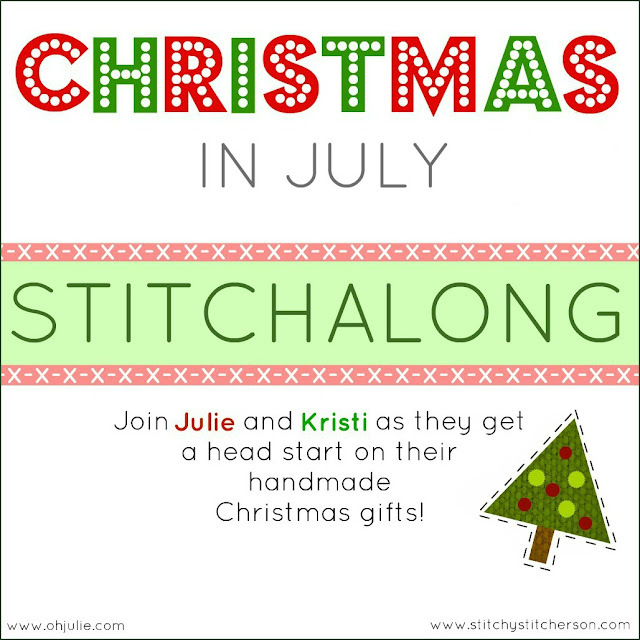 I am so excited to tell you about the Christmas in July Stitchalong that my friend Julie and I are doing. A few months ago, Julie and I were chatting. We realized that both of us get pretty frazzled during the holiday season (who doesn't, right?!? ), largely due to the fact that the handmade gifts we love to give are still being stitched on Christmas Eve. Here is what I was doing last Christmas Eve--working on last-minute gifts! Julie and I decided that this Christmas would be different. We would start our handmade gifts sooner this year, with plenty of time to finish them and enjoy the holiday season. That's how the Christmas in July Stitchalong came to be! Wanna join us? This is going to be an easy breezy-type of stitchalong. While Julie and I plan to focus our attention on making gifts for our families and friends, that doesn't mean you have to! Any stitching that is Christmas-related is welcome. 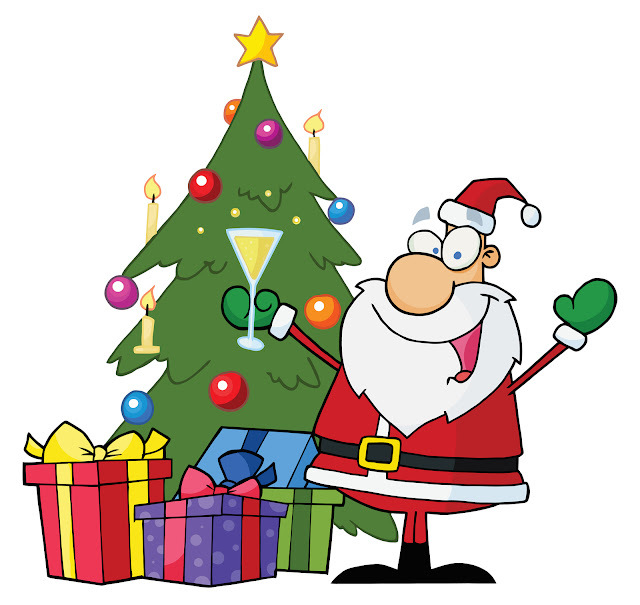 Maybe you just need a little encouragement to keep working on that Santa you started years ago, the one you only work on from the day after Thanksgiving until Christmas Eve. ;) Or maybe, like us, you love to give handmade gifts but find that you start them much later than you should. I don't know about you, but when I have to rush to finish a gift, it takes a lot of joy out of the process. This pic was snapped around 9pm on Christmas Eve 2010. I had just finished these, along with a few items that aren't pictured here. Talk about last-minute! I know it can be hard to stitch for Christmas in the middle of summer, but, if you're like me, you find that stitching during the actual holiday season is hard, too. I am always so busy, and I know you are, also! So, why not join us for this stitchalong? I hope you join in! This is going to be so much fun. I can't wait to get started on my gifts. Maybe this Christmas Eve will find me relaxing next to the tree with a glass of wine instead of stressing over finishing those handmade gifts! So, fire up your needle and thread, pour yourself an ice-cold drink, and join Julie and me for the Christmas in July Stitchalong! Sounds like fun, Kristi!! Even though I'm "off" needlework, I think I will be bummed if I don't stitch up at least a few ornaments for this Christmas. I'm going to look through my patterns this afternoon and see if I spy a few things I could stitch up quick this month. Maybe y'all could set up a Flickr pool for this stitchalong, too? OH ! what a good reminder! Yes, time to start working on the projects, thank you. I will continue to tune so I can follow along! I'm in! What a great idea, anything to justify me working on Christmas projects in the Summer is A-Okay with me! I was planning on making Christmas 2013 an all handmade gift season and getting a head start is more than likely a must so I'll be there with bells on needle in hand lol!